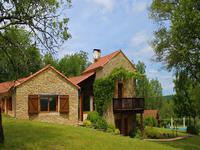 Charming traditional property, main house with 3-beds, separate Gîte. The principal house is . 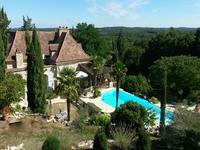 . .
splendid character house of 1723, 260m2, 6 rooms, 4 bathrooms, land 10ha, swimming pool. Pontcirq, Lot - Exceptional property, immaculately presented (250m2 of accommodation). A . . .
Charming 5 bedroom stone property which has recently undergone significant restoration by the . . .